The Simon E. Sobeloff Law Society was created to provide a social vehicle to network, encourage civility and build camaraderie among attorneys while celebrating their Jewish heritage and Jewish values in the law. The Society shall serve as a forum for advocating and educating on those matters of mutual interest to Jewish attorneys. 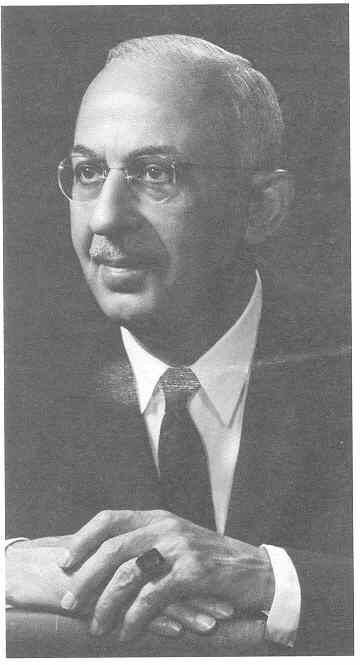 In 1952, Simon E. Sobeloff became the first Jewish Judge to sit on the Maryland Court of Appeals. Later in his career, he was appointed Solicitor General of the United States, and Associate (later Chief) Judge of the United States Court of Appeals for the Fourth Circuit. Now, Judge Sobeloff has a law society with his name thanks to the efforts of a dedicated group of Maryland attorneys. Master Steven G. Salant observed that none of the state or local bar associations in Maryland provided a forum for those attorneys interested in Jewish issues and concerns. He discovered that many attorneys were willing to devote their time to build such an organization. Therefore, the Simon E. Sobeloff Society was established to provide a social vehicle to network, encourage civility and build camaraderie among attorneys while celebrating their Jewish heritage and Jewish values in the law. In its first year, the Sobeloff Society has gained a paid membership of 60 attorneys, enabling it to provide some unique programming and social events. The society’s kickoff event featured former Mideast Ambassador Dennis Ross speaking of “Current Issues and Events in the Middle East.” Other programs included “Maryland Legislation: Is There a Jewish Perspective?” and a “field trip” to the United States Supreme Court to join the American Association of Jewish Lawyers and Jurists for the presentation of the “Pursuit of Justice Award”. Sobeloff members met Justices Stephen Breyer and Ruth Bader Ginsburg. Noted Supreme Court litigator Nathan Lewin joined the society for lunch to discuss “Did Ahasuerus’ Court (pre-Haman) grant greater religious freedom than the Rehnquist Court?” For the first Sobeloff Society Hanukah, members celebrated lighting the menorah together and conducted the “Best Latke Contest.” Through these program and events, the Sobeloff Society will serve as a forum for advocating and educating on those matters of mutual interest to Jewish attorneys. The group holds monthly “gatherings” where new and old members may socialize and conduct society business.